In the week after the New England Patriots captured a record sixth title, albeit in lacklustre fashion, it would have been all too easy to focus our latest Sponsorship Shout-Out around Superbowl LIII. Instead, we have opted for an oval ball with appeal much closer to home, namely the Six Nations rugby. So, park your Maroon 5 playlists* for ten minutes while we offer our unique take on how Six Nations’ partners Guinness, AWS and Tissot have brought their partnerships to life during the opening weekend of the tournament. The six-year partnership between Guinness and the Six Nations was being critiqued before the first ball had even been thrown in this year’s contest. Pre-event research unearthed a meaningless statistic that only 19% of people recognised Guinness as the title sponsor for the tournament. A little premature, perhaps, but certainly highlighted the task in hand for the brand’s owners Diageo. Following a relatively quiet initial phase in the aftermath of the partnership’s announcements, Guinness has since built up gradual activity on its social channels. The #GuinessGreenwoodSeries features Will Greenwood and special guests offering unique insight and live video commentary. Ticket giveaways, prominent match branding and TV graphics remain an effective, if unimaginative, use of assets. Two advertising campaigns have been launched – a drink responsibly campaign ‘Guinness Clear’ and one centred on Rugby Shared Values. The ingenuity of the ‘Clear’ advert and its ‘sometimes less is more’ slogan garnered significant pick-up, with the black stuff completely removed and replaced by water. Talk about approaching sponsorship with a clear head! Is this a wake-up call for alcohol brands involved in sporting partnerships? Are we taking early steps down a path well trodden by tobacco sponsors? Rugby has long been at the forefront of technology, as one of the first sports to introduce a video match official. With more and more sports tapping into the benefits of tech, it only seems right that the Six Nations should get in on the act. Amazon Web Services (AWS) was announced as the tournament’s official technology provider on the Friday of the opening weekend. Quite whether that engaged with fans by Sunday morning is another matter entirely. 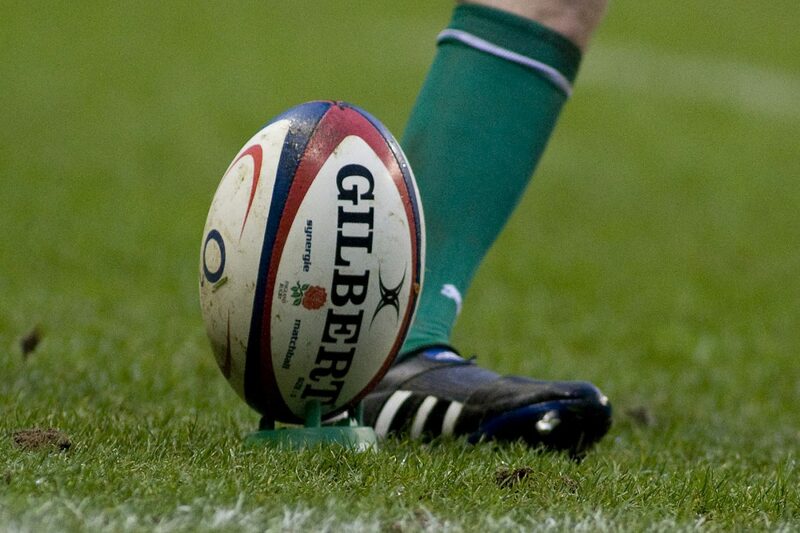 Through the partnership, AWS is offering Predictive analytics for the first time: on-screen match data and statistics, power technology aspects of the Six Nations website, as well as seven new statistics (scrum analysis, play patterns, try origins, team trends, ruck analysis, tackle analysis, and field position analysis). Engaging with core rugby fans, it’s a sponsorship that perfectly captures the ‘sweet spot’ between the AWS service offering and the insatiable appetite of data-savvy fans. Whether casual rugby fans will know what AWS is when the logo appears on-screen graphics, whether they will recognise the Amazon arrow, or just don’t wanna know, time will tell. But the use of tech in sport is something this agency has been championing for almost two decades, and it’s fantastic to see companies like AWS getting involved. Speaking of time, the longest standing of the three Six Nations partners we’re featuring in this Sponsorships Shout-Out is Tissot, who have been Official Timekeeper since 2013. In its inaugural year of partnership, they developed a way of synchronising the time kept by the fourth official with the time shown to the fans in the stadium. Since then, the company has maintained the relevancy of the partnership to its business. Ahead of the 2019 competition, short video clips previewed the opening weekend with Tissot ambassador Alex Corbisiero. The former Lions prop is a rugby pundit for NBC Sports, and these vignette clips, in which Alex proudly and prominently displays his Tissot watch, include the @NBCSports Twitter handle. The US element here raises questions over whether there is a specific strategy at play for both Tissot and the Six Nations to tackle the American market. Last year, the Six Nations social accounts featured the Tissot Top Moments, a short clip involving fans’ highlights from the tournament so far. It was a great initiative to raise awareness of the Tissot partnership to rugby fans on the street, but there’s no sign of that so far this year. Tissot has a broad suite of sports sponsorships, covering a range of sports. Managing such a diverse number of partnerships is inevitably going to pose a challenge, in terms of manpower and resource. In such instances, there’s a reliance on the rights holders to step up and convert the partnership. It remains to be seen if any particular activation ideas emerge in the coming weeks. We’ll be keeping an eye on sponsorship developments as the Six Nations continues, and reflecting our observations in forthcoming Sponsorship Shout-Outs blogs. If you’d like to drop us a line, please email hello@sqn.agency or pop a coin in the payphone to +44 (0)1491 845420. *Maroon 5 song titles used in defence of Adam Levine’s halftime show at the Superbowl. What else were you expecting?